As a business owner, you need to think about packaging year round. While one specific design may do great during the majority of the year, you will see vast improvements in your profit if you opt for customized packaging, particularly around large events, such as Christmas. Christmas is one of the busiest times of the year for manufacturers, retailers, and packaging firms alike, as people purchase a great deal of gifts during this time. To get the most out of the Christmas season, you need to know a few things about Christmas packaging. The first thing to realize is that when it comes to Christmas packaging, you will still have the same exact customization choices as you would at any other time of the year. That means that you can select the box style, size, and material as well as the image, text, or logo to appear on the packaging. 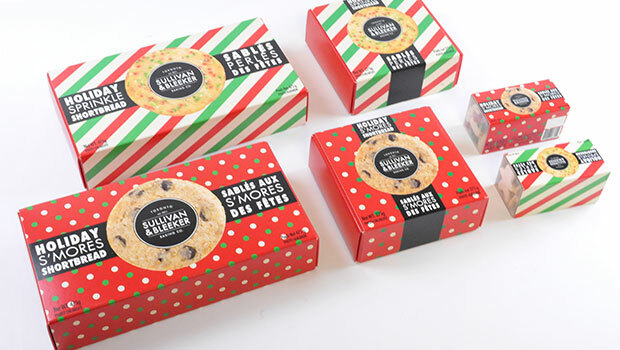 The ideal would be to work with a design team to create a holiday variation of your typical packaging design. Perhaps the best way to take advantage of Christmas packaging and promote your business at the same time is with Christmas gift boxes. You can use these in place of or in addition to your standard packaging (or a Christmas variation of it). Gift boxes, like other options, can be customized in terms of size (including height, width, and depth), color, accessories, and other options. Creating custom Christmas gift boxes is a must for any industry selling a product typically given as a gift, such as candles, soaps, and more. Buyers will see the gift box packaging of the product, and many will simply give the gift in its original packaging instead of rewrapping it. That means that anyone who sees the gift (or its packaging) will get a glimpse of your company’s name and logo, improving brand recognition. One trend when it comes to Christmas packaging is reusing it for the future. Many people find the cute designs and colors on Christmas boxes to be very festive and decorative and will continue using the box until it is destroyed. Although this typically works best with metal containers, even sturdy cardboard folding boxes can be reused. Whether the gift receiver reuses the box as a jewelry holder, storage, decoration, or even as a future gift box, anytime someone sees it, you will get improved brand recognition. Christmas packaging is a great way to pull in new customers with your festive packaging, and you don’t even have to make a big investment to take advantage of it. In fact, short-run packaging firms can produce as few as 500 boxes for you. If you decide you want more due to skyrocketing sales, a quick turnaround time means there is more than enough time to have more packaging printed before the Christmas rush dies down. That means that even smaller businesses without much in the way of financial resources can take advantage of Christmas or holiday packaging to boost their sales.